The Firetail is such a cool looking ship. Never had much luck with it myself. Best fits I've tried are a MWD kiting arty setup (zero tank so don't warp to gate with sentry aggro) and a dual prop, scram, TD, nos repper setup (tagged a bad sentinel in null before dying to his snaked linked cynabal friend). 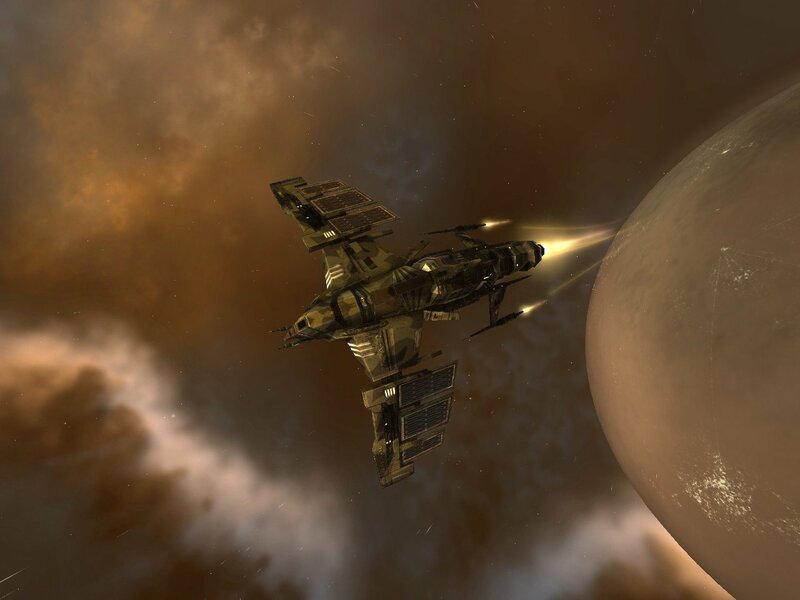 Hmmm I'm off to grab a few of these from Jita. Firetails have always been relatively cheap. That's always been one of the draws to flying them. You get a bit more overall performance than your run-of-the-mill T1 frigate for not a lot higher cost. They work well with the standard minmatar approach of 'my ship is too fast for your ship to handle.' Although with the mini-interceptor T1 frigates out now, it does change the dynamic. Unbonused TDs got nerfed a bit, but can still be viable. Oh, and no more sentry aggro when you warp to gate or station from a fight, Naoru.